Everyone knows that blondes and light browns are for summer while dark browns and blacks are for winter. Fall and spring are transitional seasons where you slowly lighten or darken your hair accordingly. But what about holiday season trends? During Halloween many people dye their hair outrageously bold hair colors – sometimes to match their costumes, and other times simply to embrace the spooky spirit of the season. The next holiday coming up? Christmas. The matching color trend? Cranberry. There is nothing which says Christmas more than cranberry. Cranberry sauce (whether homemade or commercial) sits on nearly every family table, while a good portion of families celebrate with a mixed cranberry juice ginger ale cocktail – which, if you haven’t had by the way, is absolutely delicious. That same color can be found in nature during fall, too. The most beautiful leaves are a deep cranberry red and the evening sunset will sometimes paint the sky with those colors. 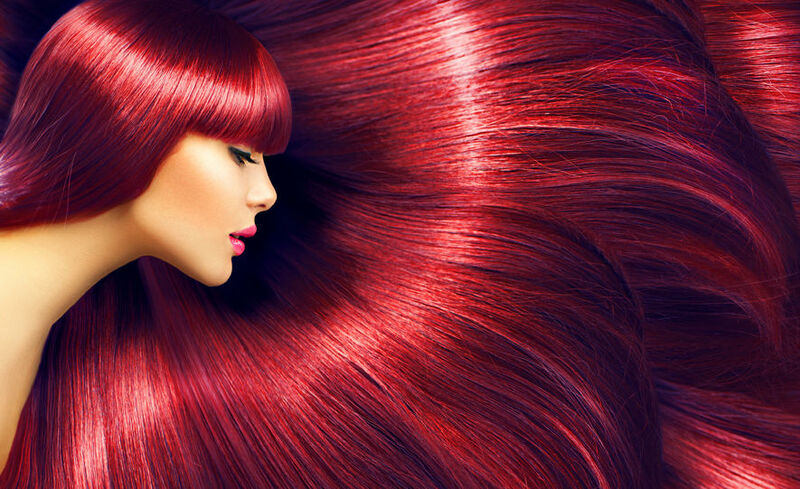 So why not choose a shade of cranberry for your hair? There are many different options when choosing the latest color trend for your hair. For starters, the color cranberry can mean slightly different things for everybody. While everyone agrees it’s a rich red with burnt undertones and a hint of burgundy, you could choose a dark, medium, or red cranberry to suit your personal preferences. Some people are opting to change their entire head the color. While this looks fabulous, don’t fret if it’s not your thing! You could do cranberry highlights or lowlights. You could choose Balayage or ombre cranberry. Feeling bold and adventurous? You could take a swing at a Cruella inspired half-color with one side a light, airy cranberry and the other half dark and rich. While cranberry hair (or any shade of red, really) doesn’t match everything, ‘tis the season for the colors that will compliment it perfectly! That makes it the perfect time to dip your toes into what it feels like to be a redhead. Rock down-dos, up-dos, or braids! They all look great. Braids are especially amazing if you decided on ombre or balayage. Constantly wear your hair in a messy bun or pony tail – let those cranberry locks free!